We’ve all heard the stories about how dangerous hitchhiking is: you’ll be kidnapped, dismembered or, at best, forced to listen to a smelly person go on and on about their quest to find themselves on the open road. In this environment of inherent fear of hitching, then, it’s surprising that anyone would use that “dangerous” mode of transportation as a social experiment. But that’s exactly what a group of researchers set out to do with a robot made of junk. 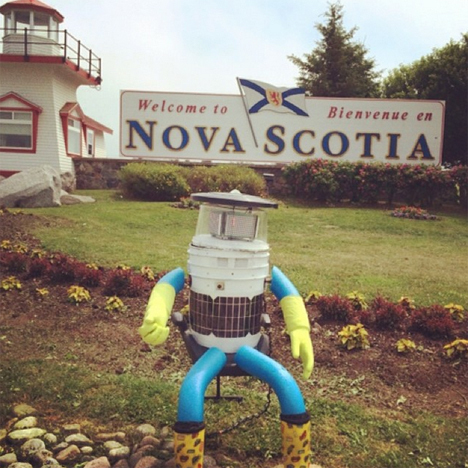 HitchBot is a simple looking bot: its body is a bucket covered in solar panels, its appendages are pool noodles, and its LED display “face” is covered with a plastic cake protector. Its wears Wellington boots and rubber gloves, one of them with an upturned thumb to signal drivers that it’s looking for a lift. Its creators wanted to see whether Canadians would shuttle the little contraption from one end of the country to the other. It was an exercise in trust – both in humans and in technology. 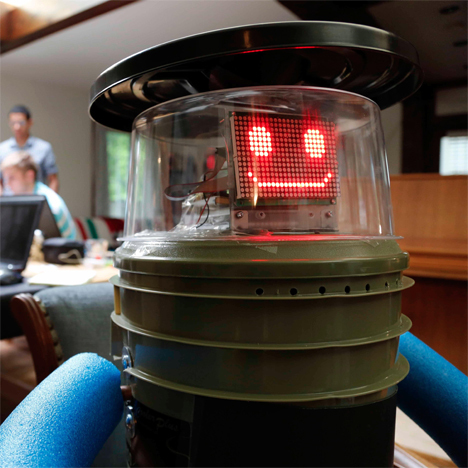 HitchBot talks (often quoting Wikipedia articles) and is equipped with a friendly smile and a GPS tracker. It also has an integrated camera with which it takes photos and uploads them to its Facebook, Twitter and Instagram accounts. Along its journey, Hitchbot’s many generous transporters charged its batteries, took it to visit landmarks, and even invited it to a wedding. It seems that the friendly face was enough to convince plenty of humans to stop and pick up a device that some might consider dangerous. 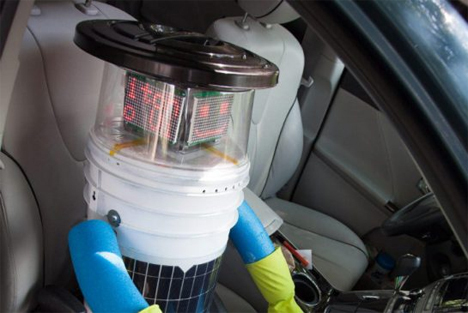 Of course, part of the reason for HitchBot’s success might have been the international attention the project received before it even started. The world was curious to know just how well humans would interact with this unusual piece of technology, and the world was not disappointed. Although the team made backup HitchBots in case of theft or damage, the original bot made the journey on its own with just a few incidental bumps and cracks along the way. The journey began on July 26, 2014 in Halifax, Novia Scotia. It spent the next 21 days traveling 6,000 kilometers (3700 miles) to Victoria, British Columbia. Along the way it hitched 19 rides and gathered the signatures and well-wishes of tons of people. 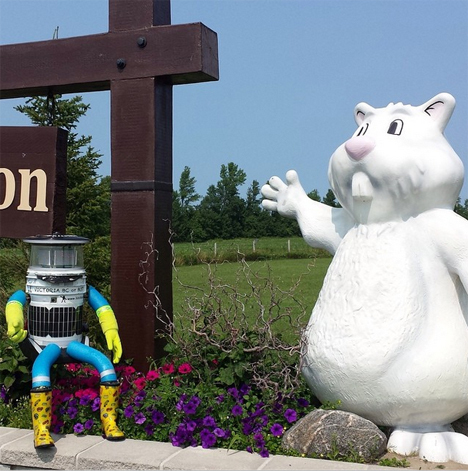 After its long and eventful hitchhiking trip, HitchBot embarked on a plane ride home and held a party to celebrate the success of a truly one-of-a-kind experiment in trust between humans and robots. See more in Robotics or under Technology. September, 2014.